If you are really serious about buying copper sinks, then there are definitely a few things you should know before making any final decision. Now starting with your budget, when you do a thorough shopping research for buying the copper sink, you will be surprised to see the wide range of prices in copper sinks. A quick research on the internet will show you the copper sink range from $200.00 USD to as close as $3,000 USD. Cost savings is the purpose of most people in the country now. They prefer going for a cheap copper sink while shopping rather than choosing the expensive one. However you get the quality for what you pay. There are a certain things that people should definitely bear in mind while buying cheap copper sinks. The construction and welding on the copper sink should be carefully seen. May be it is not the most important thing to be careful about, but is one of the main concerns. 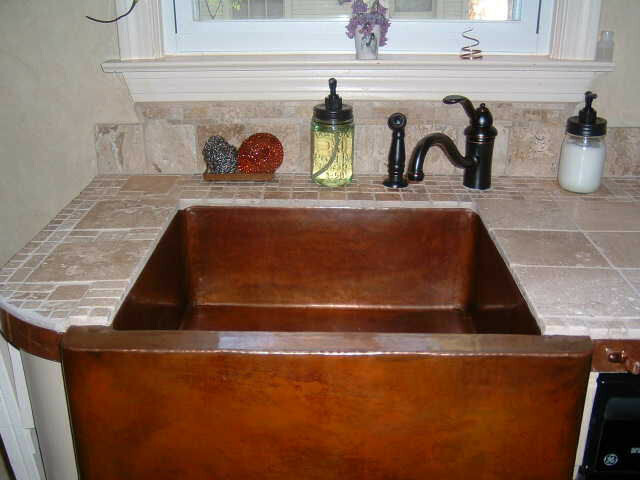 Make sure that you make the copper sink as per your size specifications to avoid any future problems. Copper as a material has been in demand forever and many people have been using it as the base material for building kitchen sinks or as pots and pans, however make sure you get an alloy as opposed to 100% copper, it will be way to soft to sustain. The most common alloy is about 3% zinc, this gives the strength needed for the kitchen use and needs.